Living within my body is every kind of geek you can imagine. Each day I struggle to hold them all inside. Often they escape when I come across a fellow Doctor Who fan, or when I find an interesting gadget in the kitchen section of John Lewis. My comic book geek had been kept dormant for a few years now. I hadn’t bought anything but the occasional Fables trade paperback since I was a teenager. However when I got my iPad and downloaded the Marvel Comics app. My bank account was not happy. 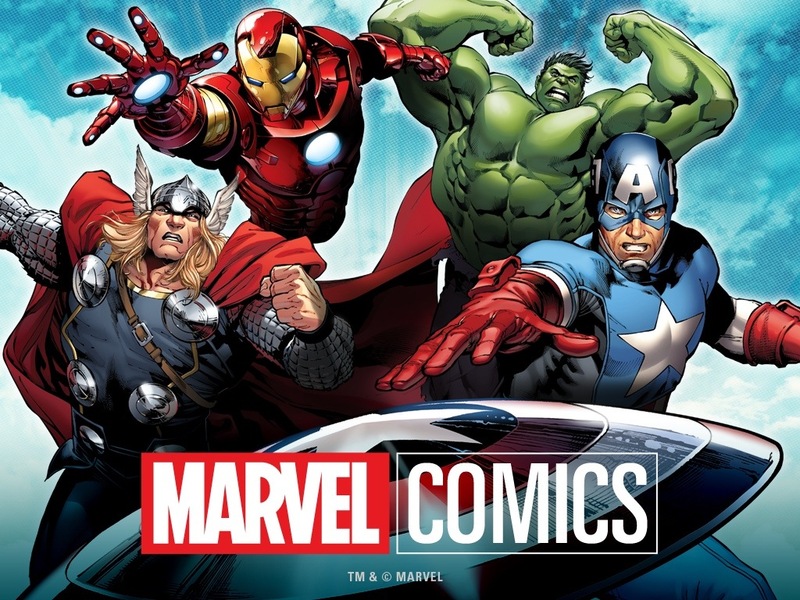 The App is extremely easy to use, you create an account with Marvel if you’d like but otherwise you are free to buy ay comic via your iTunes account – which is where the problems lie for me. It is far too easy to download great comics at the touch of a button. There are so many great stories, past and present available to read. The Avengers Vs X-Men event was happening which I jumped aboard and now that the dust has settled I’m reading several titles that have been spawned from the huge event. As well as this I’ve been able to go back and read some stories that have piqued my interest for some time. For example I am now a major fan of both Runaways and Young Avengers – which I do recommend. I have also read X-Men: Days of Future Past in preparation for the upcoming movie in 2014 so I can sound smug when I’m leaving the theatre. You can read your comics page by page as normal or you can view it panel by panel, which highlights each speech bubble and is a great way to follow the story if you like to be surprised as you read or if you struggle to find your way around a complicated spread. (It happens to us all.) If I’m honest, I don’t hate the Marvel Comics App – I adore it. It allows me to read the comics that I love but not have to make the trip to the comic book store every Wednesday, and that works for me. I just wish it wasn’t so easy to keep reading and reading! 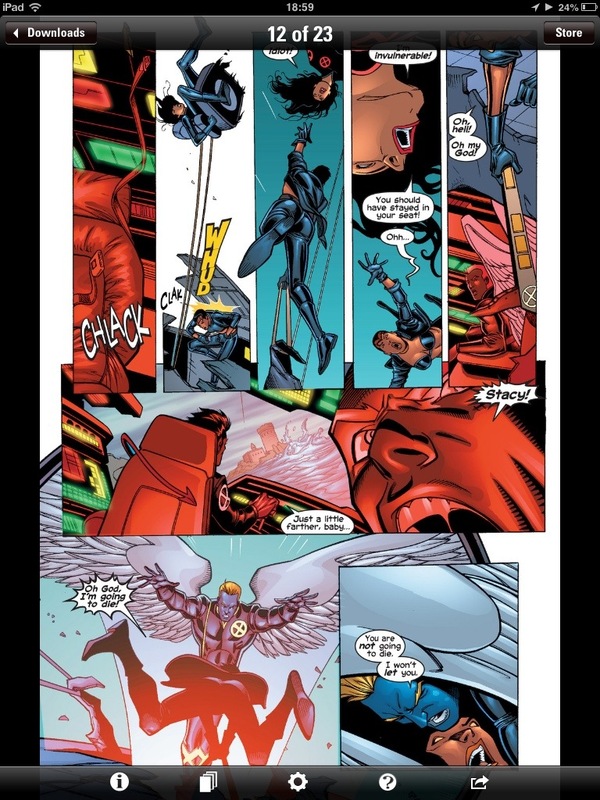 This entry was posted in Books, Geek, Technology and tagged Comic App, iOS App, iOS Comics, Marvel, Marvel Comics, Marvel Comics App by Jonathan Day. Bookmark the permalink.